I'm so excited to kick off the FEED Supper season today with an announcement my team has had in the works since last fall. Thanks to your feedback, we are extending the Supper timeframe past our usual campaign end date of 10/16. Beginning today, you will be able to sign up to host a FEED Supper for any time and any occassion throughout the year. Personally, I've wanted to turn everything from my annual Friendsgiving to my June birthday into a FEED Supper over the years, and I'm thrilled that I will be able to do just that beginning this fall. As of today, we've relaunced the FEED Supper site, with no time limit on when hosts can sign up. We'll be partnering with names and brands you know and love to deliver interesting Supper ideas each season, and while sharing frequent host inspiration and impact updates via our newsletter each month. One more update to FEED Supper that I am so proud to announce is around the impact. While hunger is a global issue (that we continue to address via proceeds from our products), we cannot ignore the very real and present need in our own neighborhoods, from New York to LA, and everywhere in-between. Over 40 million Americans are food insecure, which shows a disparity that I struggle to wrap my head around everyday. What’s even more staggering is that there is enough food produced every day to feed every person in our great land. When you learn that approximately 70 billion pounds of food are wasted every year in the United States, you feel compelled to do something to address that. 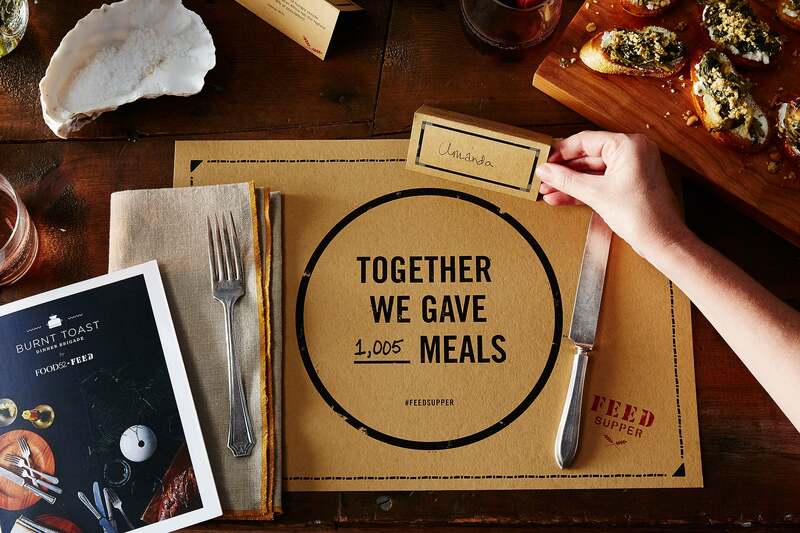 This year, the meals raised through FEED Supper will benefit our neighbors in need, through our domestic giving partner, Feeding America. Feeding America’s network food banks rescue otherwise wasted food to help provide nutritious meals, as well as dignified grocery options to families who are struggling to make ends meet across the country. I am proud to host my own FEED Supper(s) this year, knowing that I’m bringing my community together to make a difference for our fellow Americans. Whether you are new to FEED Supper or a veteran host, I hope you will join me in gathering this year around the dinner table to help our neighbors in need. We’re just getting started. Don't forget to get your FEED Supper toolkit here.